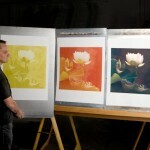 Many collectors consider platinum “the king of prints”. 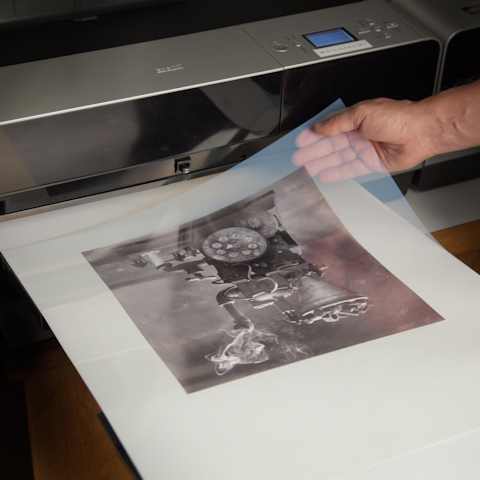 With platinum the photographer can achieve infinitely fine tonality between light and dark, revealing details that cannot be seen in silver prints. 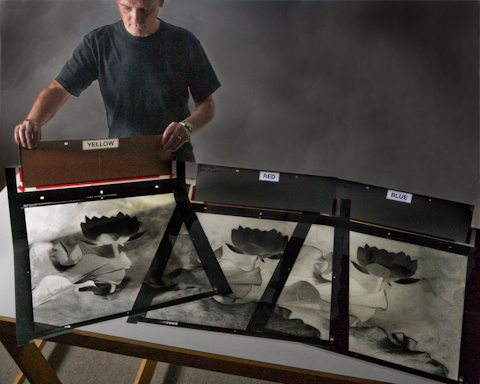 Because the platinum emulsion sinks into the fibers of the paper, a platinum print seems more dimensional. 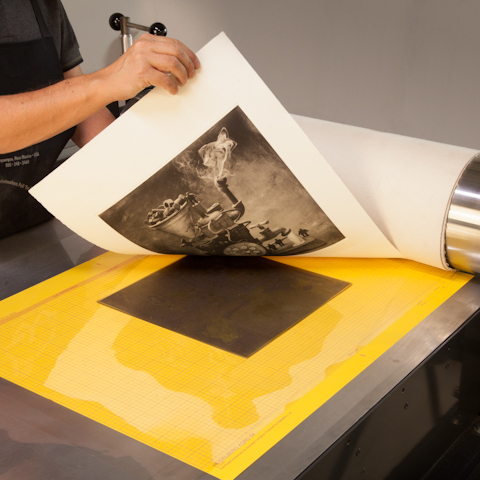 And since platinum is more stable than gold, a properly made platinum print can last for a thousand years. 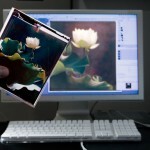 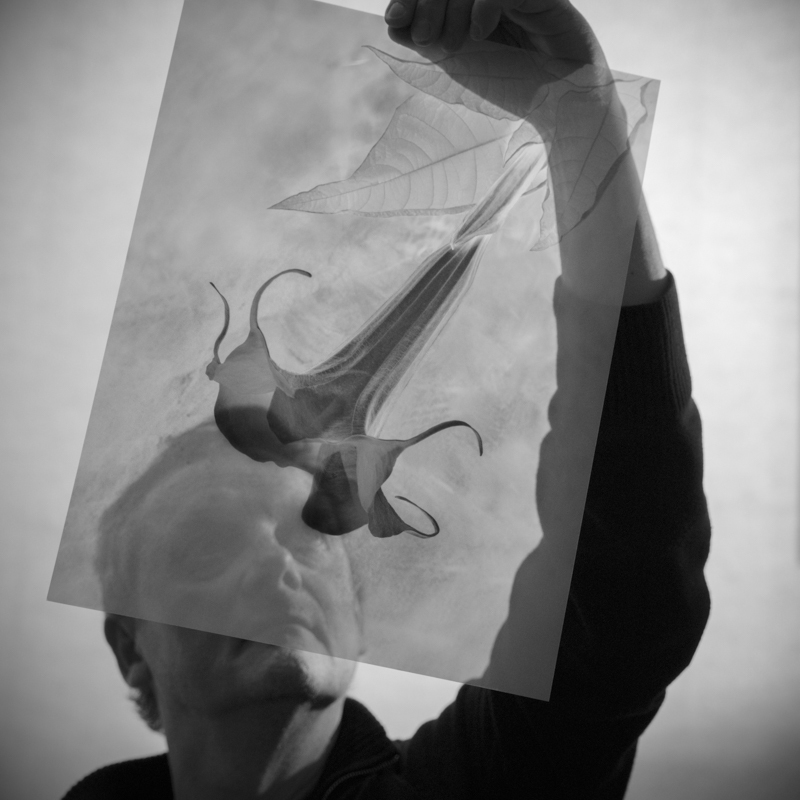 Most alternative processes start with a same size negative. 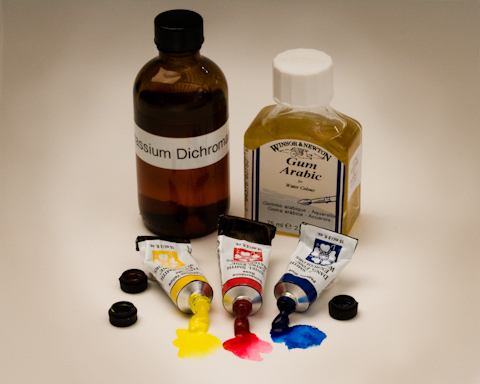 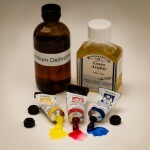 With platinum, a sensitizer is prepared by mixing platinum salts with light sensitive chemistry. 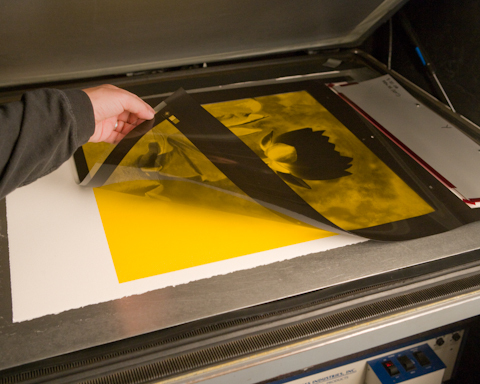 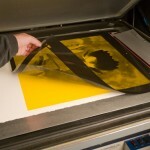 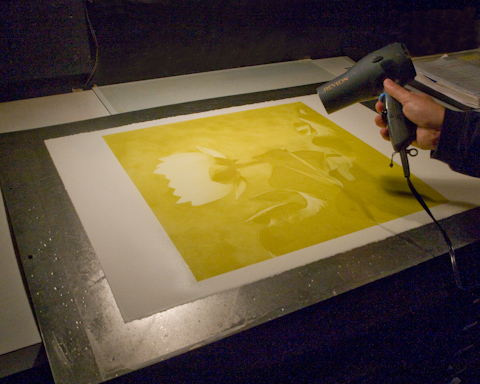 After the paper is coated and dried, it is exposed in contact with the negative under UV light. 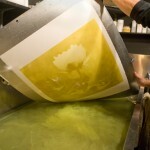 It is developed, cleared of any chemical residue, washed and finally hung up to dry. The early pioneers of photography tried a number of ways to achieve color. 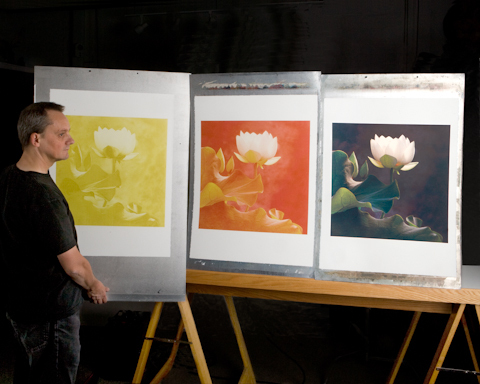 One of the most successful was John Pouncy, who in 1858 used pigment colors with light sensitive dichromate and gum arabic to create the first color images. 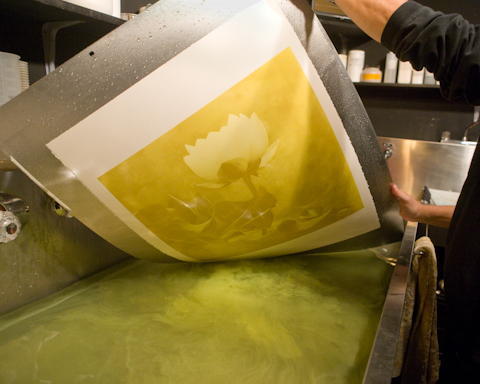 The “gum” print is highly prized for the soft and painterly quality and the subtle color effects. 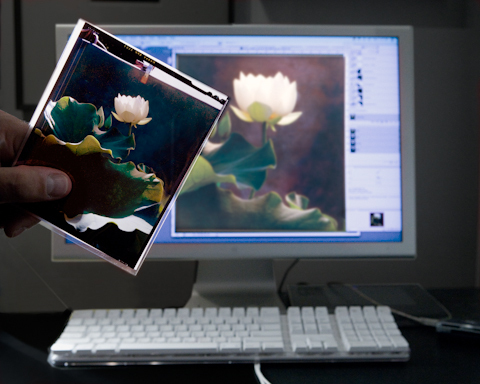 The original color photograph is separated into three negatives, yellow, magenta and cyan. 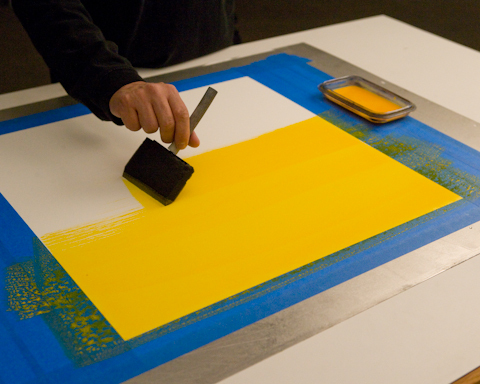 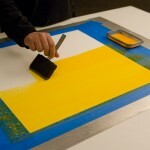 The print is built up in layers by repeatedly coating, exposing, developing and drying the paper for each color. 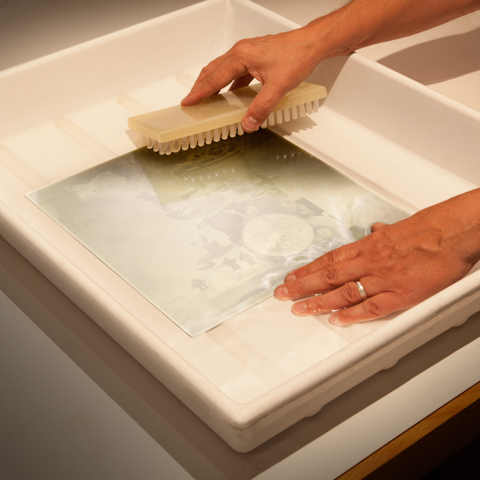 Polymer photogravure is an intaglio, or etching, process in which a plate consisting of pits and depressions has the ability to hold ink. 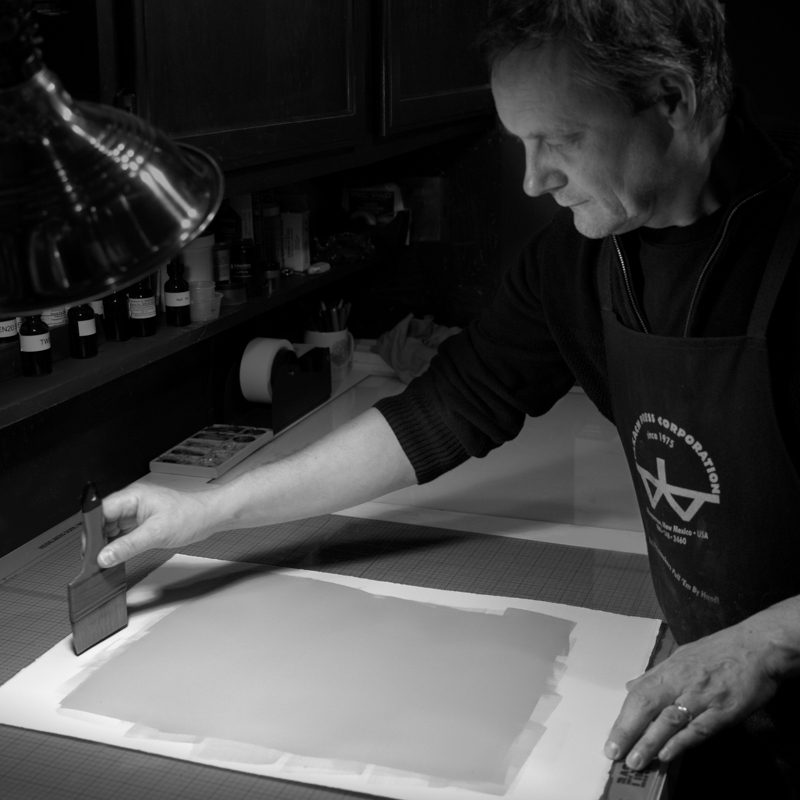 Under enormous pressure from an etching press, this ink is forced onto dampened paper to produce a print capable of rendering a smooth and extended range of tones. 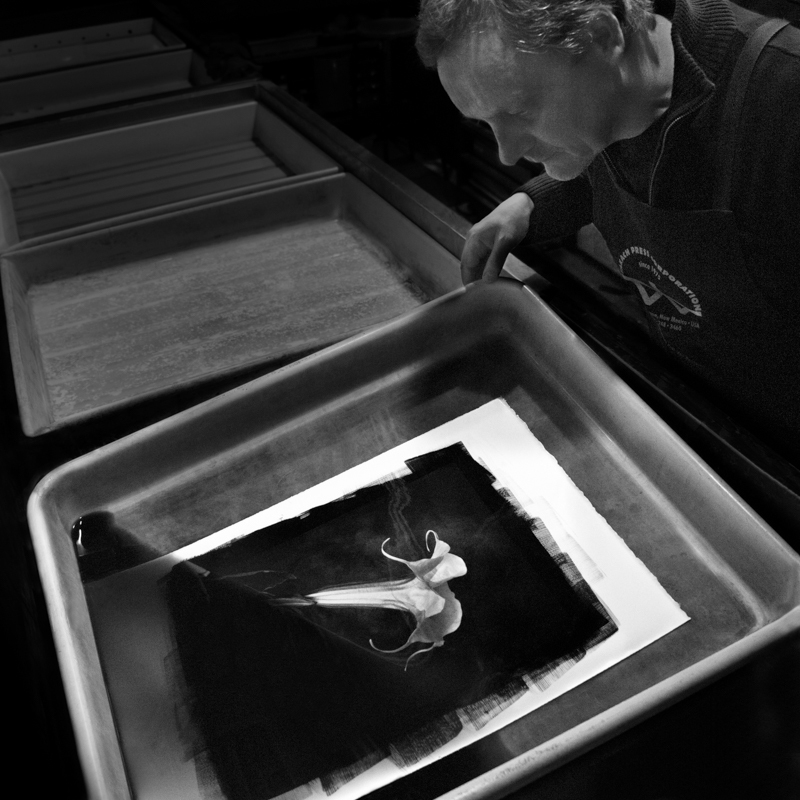 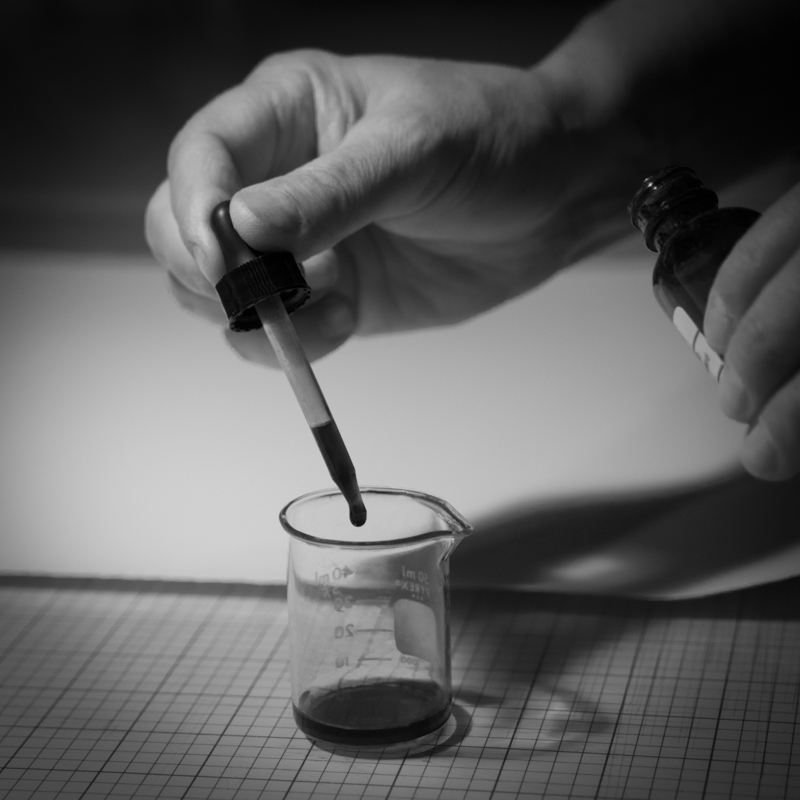 Polymer photogravure requires a film positive. 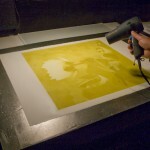 The positive is exposed onto a polymer plate which is then processed and washed out to become the printing plate. 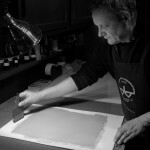 This plate is then inked, wiped and printed in a traditional etching press.